This crock pot soup is one of my favourite freezer meal recipes. It has healthy ingredients and the flavour is one that will have you craving more. 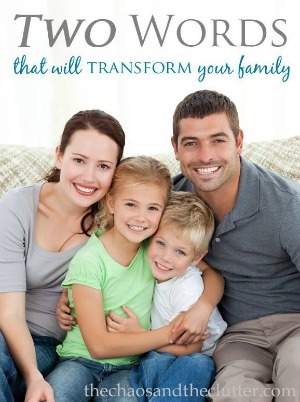 In a busy family like ours, having delicious meals that can go from the freezer to the crock pot saves a lot of time and money. When I make this recipe, I made two or four at a time and then freeze. I love having these on hand! My neighbour Christie and I held another marathon freezer meal session last week and when we were planning it, this recipe was one of our “must-makes”. I am planning to take this soup camping with us. 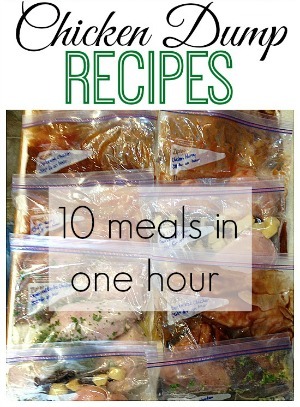 Bringing freezer meals will cut down on the amount of work that I have to do while on vacation and I’m planning to bring our crock pot along so this will be an easy day of cooking for me! I have to admit that not all of these made it to the freezer in the last batch. It’s just such a good recipe that I put one batch in the slow cooker the day after making freezer meals this past time and we all thoroughly enjoyed it! So as not to confuse you, I am giving the recipe to make one meal, but you can double or triple or quadruple it as you need. *for our freezer meals, I actually buy a ginormous can of tomato sauce (over 100 oz.) and measure it out for each recipe. This saves a lot of money and it cuts down on time because I’m not having to open each individual can. Place all ingredients in a large resealable freezer bag. 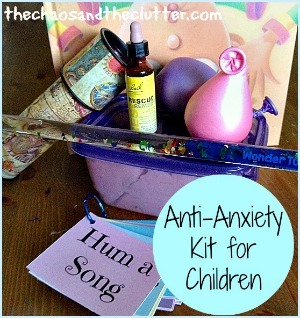 Remove excess air and seal. Freeze. 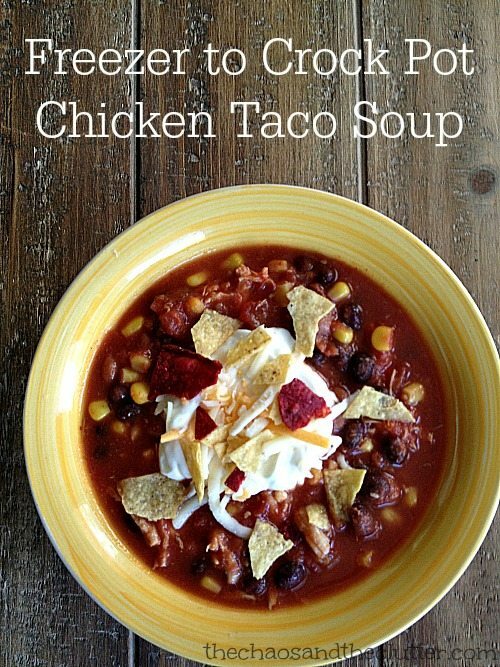 If you want a soupier Chicken Taco Soup, you can add a tetrapak of chicken broth on the day of cooking. If I don’t add the chicken broth, it is thick enough for my kids to spoon this into tortillas and top with cheese. They love eating it that way. On cooking day, thaw and cook the taco soup on low in crock pot for 4-7 hours (depending on your slow cooker). You can add the chicken broth to this step if desired. Shred the chicken breasts before serving. Serve the individual bowls of soup with toppings such as sour cream, tortilla chips, sliced green onion, and grated cheese if you want or eat as is. Most of the ingredients in this recipe are gluten free. The only ones to be careful of are the chili style beans (read the labels and select one that does not have any fillers that may contain gluten), the can of beer and the taco seasoning. For the taco seasoning, you can either make your own (which probably tastes best anyway) or buy one that is a gluten free blend. 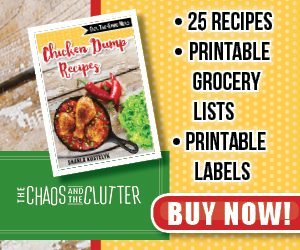 If you are looking for other recipes that can go from the freezer to the crock pot, you can find 24 other time-saving recipes in my ebook Chicken Dump Recipes. 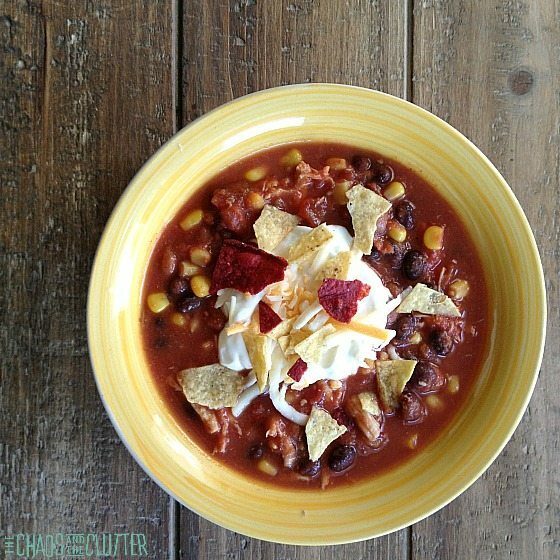 This Chicken Taco Soup recipe is included in my Slow Cooker Freezer Meal Plan which includes printable shopping lists, prep list, recipes, and printable labels. 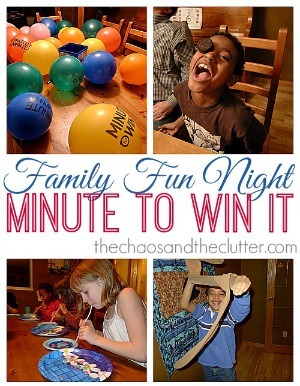 You will love having the guesswork taken out of dinner! *for our freezer meals, I actually buy a ginormous can of tomato sauce (over 100 oz.) and measure it out for each recipe. This saves a lot of money and it cuts down on time because I'm not having to open each individual can. Yum! I love taco soup! I need to make some for my freezer. You forgot one other ingredient that contains gluten: beer. There are gf beers available but general beer is not gluten free. Thank you so much for pointing that out Alyssa! I did know that beer can contain gluten but somehow completely forgot to mention it in the post. I am going to update it now so that it contains accurate info. Thanks again!